he 2016 Arizona Classic Jazz Festival (Nov. 3-6 at the Crowne Plaza San Marcos Golf Resort in Chandler) will be dedicated to the memory of sound engineer Jack Miller, called “The Man With the Golden Ear” who recorded the annual Festival for many years and was a huge fan of the music and musicians. Jack became interested in recording at the age of eight and moved to Phoenix at 19 where he was instrumental in developing the “Phoenix Sound” when Phoenix was a hotbed of music in the late 1950s. Wayne Newton was among the many performers who started their recording careers with Miller. In the early 1960s, he spent two years in Los Angeles working for RCA where he recorded many stars, including Henry Mancini, Duane Eddy, Donnie Owens, Waylon Jennings, The Monkees, Herman and the Hermits, The Animals, Jessie Colter, Glenn Yarbrough and The Rolling Stones. He returned to Phoenix where he produced commercials and voice-overs, did industrial work, worked for a local television station, and occasionally produced Native American music. Jack received a Grammy for engineering “Bless the People,” voted the “Best Native American Music Album” in 2001. 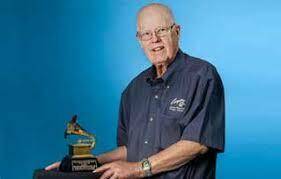 Inducted into the Arizona Music & Entertainment Hall of Fame and the Arizona Broadcaster’s Hall of Fame, he retired in 2014, but continued to man the sound panels at the annual Arizona Classic Jazz Festival up until his passing on May 12, 2016.